Mark Sank was born and raised in Seaford, New York. He received a B.S. in business and economics from the State University of New York at Oneonta (1981) and a J.D. from Vermont Law School (1984). After law school, Mark chose to live in Stamford, Connecticut because of its burgeoning growth as a business center, its diversity of lifestyles and people and its proximity to New York City. Mr. Sank began his career as a tax attorney at the international accounting firm of Deloitte, Haskins & Sells in Stamford in 1984. While there he began a law practice in his spare time in connection with real estate closings and preparation of Wills for friends and business acquaintances. He successfully passed both the New York and Connecticut bar exams in 1984 and passed the Certified Public Accounting exam in 1986. In addition to the courts of New York and Connecticut, Mr. Sank is admitted to practice before the U.S. District Court and the U.S. Supreme Court. In 1986, Mark left Deloitte to join a small general practice law firm adding litigation and corporate work to his existing experience in real estate and estate planning. It was at this firm that Mr. Sank began representing condominium and cooperative associations and also discovered that the combination of his legal and accounting backgrounds gave him a unique ability to successfully assist clients in the collection of outstanding debt. Mr. Sank's collection work grew over the years and became a significant part of his practice when he formed a partnership with one of his former employers. They practiced law together as partners for 17 years. On November 1, 2003, Mr. Sank formed the firm of Mark Sank & Associates, LLC with much of the staff from his former firm joining him in his offices in the Phillips Mansion located at 666 Glenbrook Road in Stamford. The firm presently includes one other associate attorney as well as utilizing the services of outside counsel when necessary. In addition, there are 10 full and part-time paralegals, legal assistants and bookkeepers. All of the non-attorney staff have at least two years of college education (some specializing in paralegal studies) and also include among them an MBA recipient, law student and lawyer from Argentina. The firm's practice includes the areas of Collections; Landlord Tenant (eviction) law; Condominium law; Wills, Estate Planning, Probate and Estate Administration; Residential and Commercial Real Estate; Corporate law for small businesses; Lease preparation and negotiation; Foreclosure Defense; Civil Litigation and Personal Injury. Mr. Sank's legal and accounting backgrounds combined with a common sense approach to issues have contributed to the firm's growth and success. Mark has the ability to cut to the heart of a matter and assist clients in resolving disputes expeditiously. He also understands that legal representation can become very expensive. Clients stay with him and refer their friends and associates to his firm because he gets them the results they seek at a fair price. 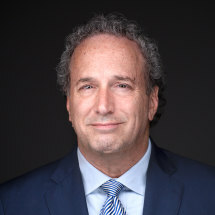 Mark has served on the board of directors of many civic and not-for-profit organizations including the Visiting Nurses Association, Rotary Club of Stamford (President 1992-1993) and Child Guidance Center of Southern Connecticut, Inc. (President 2000-2002). In June 2009, Mark received the Pro Bono Award from the Connecticut Bar Association at its annual meeting, in recognition of the work he and his employees have performed in assisting day laborers in wage disputes. The Property Group of CT, Inc.